Medianews - Omega Motor Group Opens First Prime-Class Automobile Street in Georgia"
Omega Motor Group has opened the first prime class automobile street in Georgia’s capital, Tbilisi. The presentation of the innovation concept project - the Omega Motor City was held on the 10th kilometer of Aghmashenebeli Alley. The founder of Omega Group, Zaza Okuashvili attended the opening ceremony and cut the ribbon together with the representative of the British Prime Minister to Trade and Investment Issues, Mark Prichard. The automobile street unites the showrooms of the world’s leading carmakers - BMW, MINI, General Motors, Maserati, Bentley, Cadillac and all maintenance and other car services and recreation zones, so it is the first car street in Tbilisi. The representatives of Omega Motor Group say that the goal of the project is to develop automobile business in Georgia, introduce European standards and all other novelties of the world automobile market. “The spirit of all this is to contribute to the development and progress of Georgia. We have always been, we are and we will be inspired with this goal. 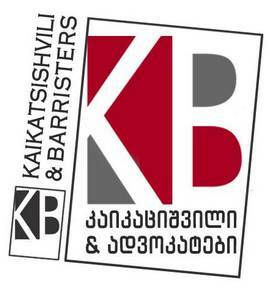 We have experience of living and working abroad, specifically, in London, recently, so our goal is to use my experience for my country, for Georgia and for Tbilisi. The automobile street is a novelty. We have five leading automaker brands here and this number will soon be increased up to 9. Omega Motors was the first to open BMW showroom on this street, as there had not been car showrooms before that in Tbilisi. This is not just an automobile business, but here we’ll have a trade center, hotel, gym, restaurant, café and other service and entertainment spots. So, this is a challenge for other brands to develop similar streets and develop this business here, in Georgia”, - Zaza Okuashvili said. Mark Prichard has assessed the event as the fantastic day for British-Georgian investments. “This is a huge investment for this part of Tbilisi. It creates new jobs; this area will be revived. This place will be a spot on the map. This is a fantastic day for British-Georgian investments”, - Mark Prichard said. The guests invited to the ceremony could enjoy live music, try Georgian wine and walk along the street to see the cars in the showrooms. The event was attended by the representatives of the government, business sector, investors and diplomats. 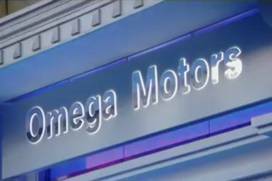 It is worth noting that Omega Group’s investments with the project of Omega Motor City amounts to GEL 48 980 400 and in the future, the company intends to invest GEL 43 218 000. According to the company reports, 800 people will be employed within the project. Omega Motor Group, founded by Zaza Okuashvili, is one of Georgia’s largest automobile companies. Along with automobiles, the company offers spare parts, accessories and full maintenance services to its consumers. 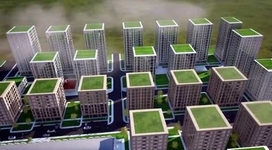 The company’s focus is made on permanent development. 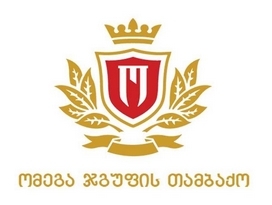 The business group, which has reached serious success, is one of the leaders of automobile business in Georgia officially representing world’s most popular brands in the country. The company supplies high technology vehicles to local market and currently it represents world’s five largest brands – BMW, MINI, General Motors, Maserati, and Bentley. Each brand has its own service center, which offer full service meeting European standards.